That their cocktails are both served uniquely, and taste extraordinary. Each cocktail, neatly compartmentalised into its region of traced origin, comes with an accompanying amuse-bouche, and is presented with delicious flair. We tried the zingy, potent Passionfruit & Gondhraj cocktail from Peru (that came with a mini frozen cracker sandwich that was utterly gorgeous (PINTXO Aji Limon Bikimax, to be precise). The pairing was unbelievable—deliriously tart and sharp. We also tried the Sangria Sour from Spain, a heady blend of whiskey and wine, with vodka-soaked fruit. It came with a tiny PINTXO Olive Coca, Spanish olive oil bread with olive jam, and both were quite lovely. We also hear the Tech-Tonics (their natural flavour induced tequila served with tonic) are pretty popular, so we're up for trying those next time—the hibiscus and strawberry ones in particular, for sure. The small plates were nice, but aren't a patch on the Olive menu available to you right outside. 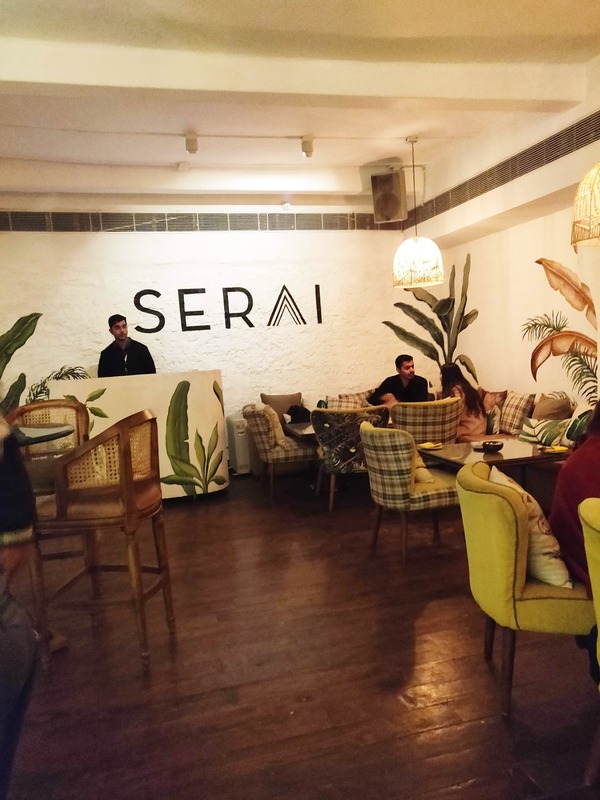 We'd primarily recommend Serai for aperitifs.